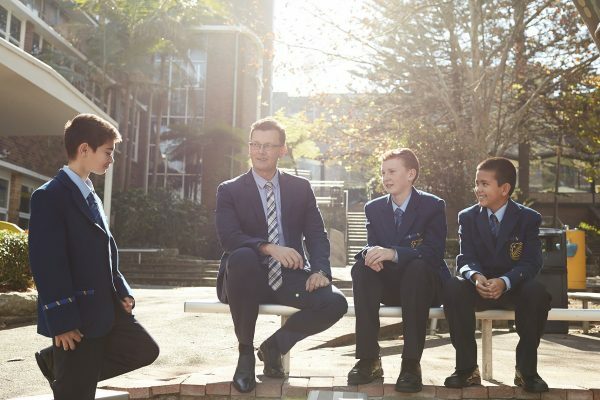 Most boys have started the year very well and overcame some challenging conditions, including hot days, an internet crash, a blackout and of course the transition from holiday time to a school timetable. However, in light of these challenges, it is important to keep the obstacles we experience in perspective, particularly when we compare it to people in Tasmania who are dealing with bushfires, people of North Queensland in the flood crisis, people who have lost loved ones or people struggling with health conditions on a daily basis. Overcoming life’s hurdles and struggling to solve an issue is how boys develop and learn resilience, which becomes more important downwind when they have to navigate life’s voyage under their own sail. As parents and educators, we have to walk the fine line between caring for our sons versus cutting down all the obstacles in front of them. As a parent myself, I have certainly been guilty of the latter, as no parent enjoys watching them struggle, even though sometimes that is exactly what they need to do to improve, learn and develop resilience. Resilience or grit is about the ability to try again, and again, when things don’t go according to plan. It is about having stamina, day in, day out and working hard towards long term goals. Professor of Psychology at Pennsylvania University and author of the book Grit, Prof. Angela Duckworth says her research supports the notion that resilience/grit are bigger indicators of long term success than a person’s talent or IQ. Therefore, it is very important in our ever-changing world that we try and help our boys develop it. How does one develop or teach resilience/grit? Professor of Psychology at Stanford University, Ms Carol Dweck is considered an expert in this field. Dweck suggests that we develop resilience by adopting what she refers to as a “growth mindset”. When our boys believe they can achieve more, they understand that effort makes them stronger. Therefore, they put in extra time and effort, and that leads to higher achievement. Dweck believes that how you praise your son will have an impact on whether he adopts a ‘fixed mindset’ or a ‘growth mindset’. If you tell your son he is smart or talented it encourages a fixed mindset and makes him vulnerable. Whereas praising the process he engages in, his hard work, the strategies he uses, his impressive focus and perseverance encourages a growth mindset. When boys have a growth mindset, they take on challenges and learn from them, therefore increasing their abilities, achievement and resilience. This morning I met one of our new parents, Ms Sophie Smith, who has certainly adopted a growth mindset to overcome significant life challenges and support her family. Sophie has just been awarded the 2019 NSW Local Hero in the NSW Australian of the Year awards for her work with the charity she co-founded, Running for Premature Babies (RFPB). The charity has raised over $3M for the Royal Hospital for Women’s Neonatal Intensive Care Unit. Tragically, Sophie lost triplets as premature babies and then lost her husband, Ash, to brain cancer. Sophie has also written a book called Sophie’s Boys with all profits going to the charity. Sophie has donated a book to our school library and will speak on College assembly in a couple of weeks time to expand on how one can find positives even in extremely painful experiences.